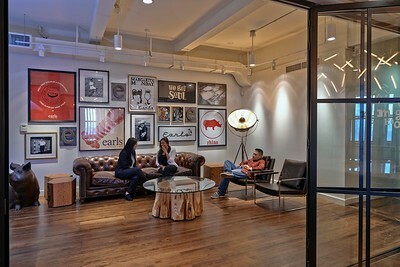 Interior Designer: Elly Chronakis, R.I.D. and Wendy Tait, R.I.D. 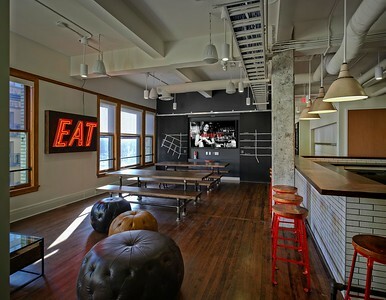 The relocation of Earls Restaurants’ head office to the historic BC Electric Building, in Vancouver’s Gastown neighbourhood, was prompted by overcrowding and a disconnect of its staff, both physically and in terms of its brand alignment. Earls Restaurants is continually expanding, largely in the United States, and the move provides a big-city address known to its American colleagues. Original one-inch thick fir flooring was uncovered during demolition and was restored. Existing structural concrete columns, which had been buried in plaster, were exposed and the original double-hung windows with float glass panes and oak frames were preserved. A bank vault, original to the space, was repurposed to house Earls’ art collection. 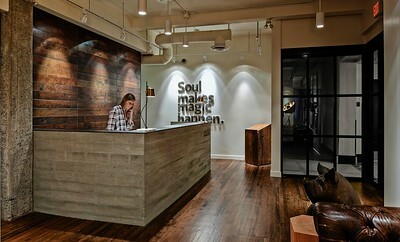 The office’s three meeting rooms are named after Earls’ partner values: magic, soul and logic. All other materials and finishes were pulled from the restaurant’s palettes to ensure a seamless connection with the Earls Restaurants brand. 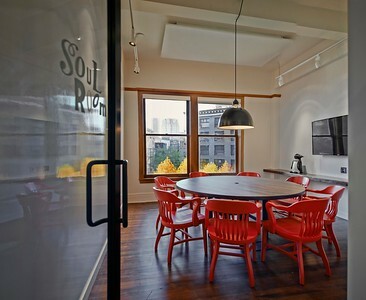 The result is an office with increased morale, eased interdepartmental communication, and improved efficiency.